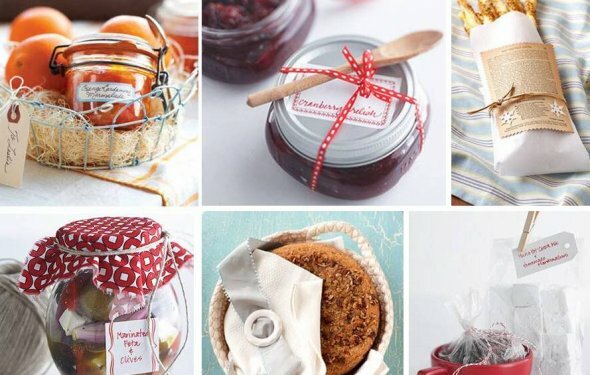 This homemade gift idea is so cute you could EAT IT UP! Karen Sue White Miller, 72, of Vinton, Va., died on Tuesday, January 5, 2016, surrounded by love. She was born in Eldorado, Ill., a small town nestled between the Ohio and Mississippi Rivers. She was the fifth and youngest child of Jesse and Thelma White, and grew up surrounded by corn fields and an expansive circle of love.She met the love of her life in the fourth grade and started dating him in the eighth grade. She married Bob on August 14, 1965, not long after she graduated from nursing school in Evansville, Ind.Soon, the Blue Ridge Mountains beckoned. In 1970, Karen and her husband, toddler and Basset Hound journeyed to the beautiful Roanoke Valley. For years, she served alongside her husband as a nurse at Camp Easter Seal, and more friendships and memories took root. In the late 1970's, she and her husband owned a children's clothing boutique in downtown Vinton called "Little Britches." She also served as a Rehabilitation Nurse Case Manager for nearly two decades. She was a PTA powerhouse and supported her daughters in every imaginable way.Karen and her family joined Thrasher Memorial United Methodist Church soon after settling in the Vinton area. Throughout her 40-plus years journeying with the saints at Thrasher, she served as a leader, organizer, visionary, teacher, friend, mentor and resident theologian. She loved her church with all that she was, and her church has loved her well.Karen loved to laugh and had a marvelous sense of humor. She loved 1950's music, dancing and Coca-Cola in small glass bottles. She was passionate about entertaining and valued attention to detail. She cherished beauty in all its forms. Karen loved Cheetos, hot wings, Spam and catfish (especially from the Ohio River). When she was able, she made a yearly pilgrimage to the ocean and allowed the sound of the waves to "clear the cobwebs from her soul." She adored dogs, particularly her beloved dogs. She possessed a strength of spirit that seemed almost superhuman.Most of all, Karen treasured her family and friends. Her grandchildren, Sarah Grace Frary, Ellen Jane Frary, Abigail Kate Garber and John Robert Garber, brought her indescribable joy. Her courageous spirit and zest for life lives on in them, just as she would want.She is survived by her husband of 50 years, Robert Lee Miller; their love story is one for the ages. She is also survived by two daughters, Amy Miller Frary and husband, John, of Vinton, Va., and Amanda Miller Garber and husband, Jack, of Harrisonburg, Va.; as well as numerous nieces, nephews, cousins and dear friends.The family will receive visitors at Oakey's Chapel in Vinton, Va., on Friday, January 8, 2016, from 2 to 4 p.m. and from 6 to 8 p.m. A Celebration of Karen's Life will be held at Thrasher Memorial United Methodist Church at 11 a.m. on Saturday, January 9, 2016, with internment immediately following the service at Mountain View Cemetery in Vinton.Mission and service were of the utmost importance to Karen. Thus, the family asks that memorial donations be made to any of the mission programs at Thrasher Memorial United Methodist Church, 707 Washington Avenue, Vinton, VA 24179. Donations may also be sent to a young missional church in Harrisonburg, Va., RISE, 6321 Well Hollow Road, Singers Glen, VA 22850 or online at riseharrisonburg.com. Online condolences may be made to the family at www.oakeys.com. SIMPLE BUT VERY EFFECTIVE: With our hamburger press it s easy to make your favourite patties in just 3 steps. CLEAN HANDS AND TASTY BURGERS: You don t have to use your hands to make a hamburger anymore so burgers don t leak out of stuffings all over the grill. GREAT MATERIALS: Our patty maker is made of high quality thick plastic, it is firm, stable and doesn t brake even after 100+ usages. DISHWASHER SAFE: It s really easy to clean our hamburger press - it has a non-stick coating that makes all the fat and dirt pass away faster.